Samantha Markle lashed out at her half-sister Meghan Markle and claimed that Meghan would only care about her if she had $600 million. Samantha took to Twitter to express her distaste after a letter which Meghan had sent to their father Thomas Markle went public. The letter reads, "I pleaded with you to stop reading the tabloids. On a daily basis you fixated and clicked on the lies they were writing about me, especially those manufactured by your other daughter, who I barely know." Just hours after this, Samantha took to ranting about Meghan on her Twitter account, calling her half-sister a "narcissist." Samantha wrote, "Some narcissists (sic) were 'only children', others… wish they were." 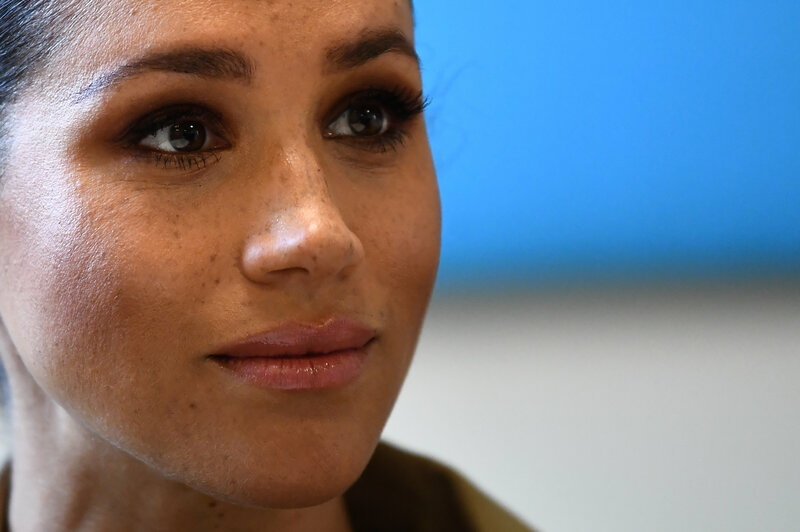 A Meghan Markle supporter clapped back at Samantha and said that she needed to "help herself". The Meghan fan wrote, "It is not Meghan's responsibility to keep Samantha in the lifestyle she thinks she should have. Also, I have seen people with worse disabilities than her's and they work #excuses." One of Samantha's supporters responded saying, "Samantha should be black, then Me'again might care," to which Samantha added, "if I had 600 mil she would care". Samantha also went to war with a Twitter user who accused her of changing her last name back to "Markle" to "cash in" after Meghan got engaged to Prince Harry. Samantha retaliated saying, "Actually my name was Markle from birth my last name Markle is on my degrees and Grant was only a pen name to protect my address. Markle is my maiden name… I had it since 1964." In another tweet, she shot back, "A lot of writers use pen names u moron (sic). My name has never legally been Grant so chew on that for a while. Oh and stop reading tabloids you're totally misguided." In another tweet, Samantha shared that Meghan had not been "branded" by their father. "She created her own brand and the rest of the world sees that," Samantha shared. The Duke of Sussex's letter was about five pages long and had been sent in August last year. The letter highlights her strained relationship with her father Thomas whom she accuses of breaking her heart "into a million pieces" as he kept giving interviews to the press, making up stories, as well as attacking her husband Prince Harry. Meghan also called out her father for siding with Samantha while she (Meghan) "silently suffered at the hand of her vicious lies." Earlier on this week, it was reported that Meghan burst into tears upon hearing that Samantha was planning to write a book about her.